Australia’s Catholic bishops say surrogacy, both commercial and altruistic, is flawed, offends human dignity and that it would be intolerable to argue harm minimisation to allow the development of a commercial surrogacy industry in Australia. The bishops acknowledged the pain and sadness couples face when they cannot have children because of infertility or the inability to carry a child to full term, but pointed out surrogacy can transfer sadness from the infertile couple to the surrogate mother. The bishops’ comments were made in a submission from the Bishops Commission for Family, Youth and Life to the House of Representatives Standing Committee on Social Policy and Legal Affairs, which is holding an inquiry into surrogacy. “Surrogacy is not undertaken with the priorities and interests of the child in mind, but rather the interests of the adults who want a child,” said bishops delegate for life issues, Bishop Peter Comensoli. “The act of surrogacy denies the child the right to be conceived, carried, born and brought up by his or her genetic parents. “Surrogacy is different to adoption. Where children are adopted by a mother and a father, this matches the model a child should expect of a mother and a father in marriage as a good alternative for when a child cannot be brought up by her or his natural parents. Adoption is a solution to a situation that has arisen. A child should never be produced for the purposes of adoption. “Surrogacy allows for the exploitation of the women who act as surrogate mothers. It requires a woman to deny many of the significant, integral parts of the experience of pregnancy, which could have a long standing psychological impact on the surrogate mother. It gives priority to the childless woman, man or commissioning parents over the woman who is the surrogate mother. 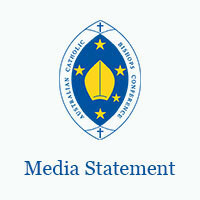 Media queries, please contact Aoife Connors on 0450 348 597 or media@catholic.org.au. This entry was posted in Uncategorized on February 22, 2016 by ACBC Communications.